Decades after her original visit, the magical nanny returns to help the Banks siblings and Michael's children through a difficult time in their lives. In Depression-era London, a now-grown Jane and Michael Banks, along with Michael's three children, are visited by the enigmatic M... read full description below. This Christmas, when you lose your way, just remember the magic always returns. Decades after her original visit, the magical nanny returns to help the Banks siblings and Michael's children through a difficult time in their lives. 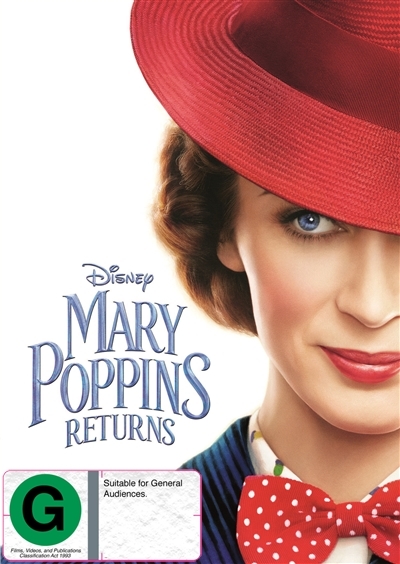 In Depression-era London, a now-grown Jane and Michael Banks, along with Michael's three children, are visited by the enigmatic Mary Poppins following a personal loss. Through her unique magical skills, and with the aid of her friend Jack, she helps the family rediscover the joy and wonder missing in their lives.